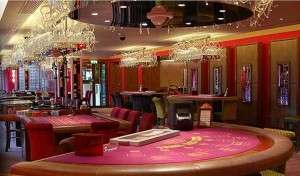 The ongoing lawsuit by wealthy Iranian-born, Dubai gambler Iraj Parvizi against a famed London casino for £10 million, claiming an unfair and corrupted gambling environment, is back in the news this week following a public statement by a self-proclaimed casino cheating “expert” that two well-known British poker pros colluded against the alleged victim at the casino’s high-stakes poker tables. Back in May, Parvizi sued London’s elegant Les Ambassadeurs casino for £10 million after failing to honor a £185,000 line of credit given him, which he lost in what he claimed was a suspect game that included British pros Roland de Wolfe and Josh Gould, who were unidentified specifically in initial reports on the lawsuit. Parvizi, according to various reports, stopped payment on checks written to Les Ambassadeurs to cover that night’s debt. Inside the elegant Mayfair Les Ambassadeurs casino. In the latest update in the story, Richard Marcus, a self-described former casino cheater who these days is a self-promoter attempting to sell books, has made a statement identifying DeWolfe and Gould as the two pros who allegedly colluded at the Les Ambassadeurs poker table against Parvizi while claiming that the pair definitely colluded against Parvizi. Marcus appears to have been retained by Parvizi and his counsel as an expert in cheating matters. By way of full disclosure, I’ve gone a couple of rounds with this guy myself after once discovering his blog full of stolen content, including several pieces of my work. He later removed all the stuff of mine he’d swiped, but with no apology whatsoever, and he continues to re-post stories taken in whole from other sources while simply including a link to the original story. However, let’s come back to Marcus’s new involvement in this in a bit. Returning to plaintiff and alleged cheating victim Parvizi, the original action was filed against the Les Ambassadeurs casino at some point in May, and picked up on by UK news outlets at the end of that month. The swanky, chandelier-laden Mayfair club is famed for being the shooting locale in the classic James Bond 007 flick “Dr. No,” and it was made the target of Parvizi’s lawsuit in a classic “deep pockets” move. 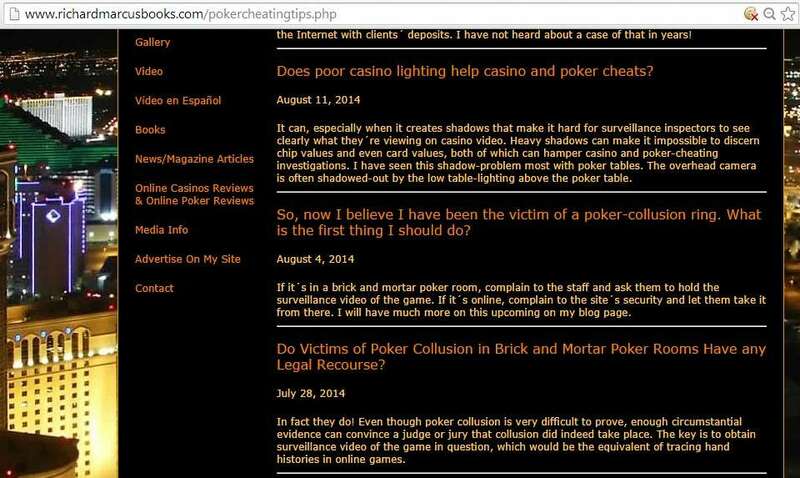 According to the original story on the lawsuit, which I believe was published by London’s Daily Mail, Parvizi and his attorney alleged that the casino was negligent by allowing the purported collusion by the high-stakes pros (now ID’d as Gould and de Wolfe) to occur, and that the casino may also have assisted by having new masseuses present who may have looked at players’ cards (including Parvizi’s) and signaled them to the alleged cheating players. I find that last attempted tie-in to be outlandish, and the sum total of evidence submitted in defense of that assertion was Parvizi’s claim that they were new masseuses and that he didn’t recognize them. The backstory grows even more complicated when one learns that Parvizi himself — who generally fits into the stereotypical category of rich, globetrotting Arab shiekh — is himself under indictment in an insider-trading scandal that made headlines in October of 2012. Parvizi was indicted along with three others as part of “Operation Tabernula,” which was described at the time as the largest investigation of its type ever undertaken by the UK’s Financial Services Authority (FSA). Parvizi and the others are alleged to have conducted more than £3 million in trades in the alleged illegal insider conspiracy, according to this report. But Parvizi’s other escapades are of no matter, except perhaps to indicate the possibility that at some point, cash might have been a little tight. In any event, the games at Les Ambassadeurs are available only to the upper crust of society; the £185,000 lost by Parvizi in the game at the center of the lawsuit was by all accounts a ho-hum night. What’s nonsensical and preposterous about the allegations about the “new” masseuses is the notion that a private casino run by a billionaire would extend credit to someone who’s already in the news for being indicted in connection to possible financial-markets crimes, and then would attempt to assist in cheating him for such a relatively paltry sum. Why would the casino or certain of its workers conspire with poker players simply to rip off a weaker player, who’s likely to lose anyway, and who might already have other financial troubles? It’s possible that the blind-referenced player offering the quote was de Wolfe or Gould, which is somewhat irrelevant. Parvizi’s lawsuit alleged that the players conspired to get him to bet (and lose) more, though exactly how they conspired to do this remains unexplained. That’s the crux of the story’s latest development, and the insertion of the self-promoting Richard Marcus into the tale. Marcus can call himself the world’s greatest whatever, but he’s generally made his claim to fame as a casino cheat, not a poker cheat. Moreso, despite having made claims of seeing security footage of the Les Ambassadeurs game, his statement did not specify the exact means by which Gould and de Wolfe allegedly colluded. The problem with Marcus’s claims is that there aren’t that many ways in which de Wolfe and Gould could have been openly colluding against Parvizi in a way that would be visible on security-camera footage. They could be communicating hand signals to each other about their own hole cards, but that would be cheating against the table’s other players in general, not just Parvizi. Or, to come up with another scenario, they could have engaged in a raise-and-reraise game devised to trap a possible “calling station” player (perhaps Parvizi) into bigger pots, but such betting patterns would be comically blatant to the rest of the table’s players after just a couple of hands. To think that a poker player could dump £10 million over what had to have been the course of several dozen similar games at the casino, without catching on to what would have been very blatant betting action, defies all credulity. It just does not compute. 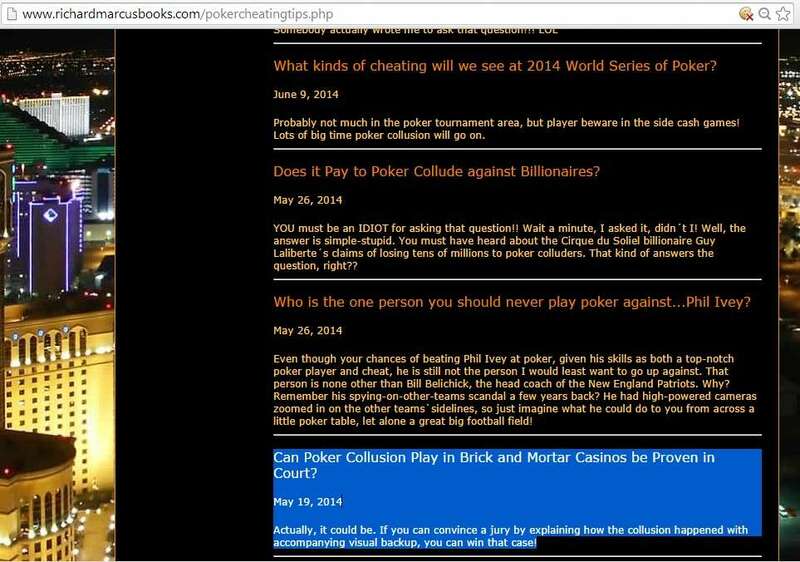 Whence all these poker-cheating and collusion-specific topics? These are purportedly Marcus’s responses to questions received from readers, though I’ve got a strong suspicion he writes most of his reader questions himself. And I’ve got a similar strong suspicion that all these posts are part of a largely ham-handed effort to strengthen his otherwise highly questionable bonafides on the topic of poker-related cheating. In my online-poker-veteran, sincere opinion, that’s just made-up crap. It’s not impossible to say exactly say what percentage of play is cheated via collusion at any stakes, high or low, because of the logical impossibility of proving a negative. And no one with the ready access to information even closely related to the topic — a Michael Josem at PokerStars, for instance — would ever be sharing that with the likes of Richard Marcus. All the above is is an example of spewing out something and seeing who’s gullible enough to bite. In the case of Parvizi, it’s apparent that he or his legal representative did just that — spun the random Google virtual wheel and came up Richard Marcus as a supposed cheating expert. At what point they came calling on Marcus remains uncertain, though here’s an interesting twist: It is unlikely that Les Ambassadeurs would have surrendered any security footage of the poker game in question to Parvizi’s counsel until the formal discovery stage of the case, and whether that occurred before Marcus’s posts in May is a -very- open question. Perhaps Richard Marcus even began preparing himself as an expert witness on this topic before even seeing the security tapes? That would indeed be an interesting revelation, were such shown to be true. Tales likes this pop up from time to time, and my opinion is that is nothing more than a classic attempt by Parvizi to avoid paying his debt. Had it involved only the smearing of a corporate entity — the Les Ambassadeurs casino — then it wouldn’t have been too much of a story. But now we have these unsubstantiated claims, to date, of collusion and cheating that have been made against two prominent UK poker players. Sure, de Wolfe and Gould could have cheated Parvizi. But to date, there’s no evidence, and the people making the claims are far more suspect in their believability than the mainstream reports would indicate. Absent some serious proof, this is one of those stories best not taken at face value.